Clean, modern designs are definitely at the top of the list, and Las Vegas home builder American West Homes is, once again, at the forefront of this evolution. The city of Las Vegas doesn’t sleep — or stop — ever. This kinetic energy applies to the homebuilding industry, too. After decades of homes being vaguely similar, things are changing. Local architects and designers say that their clients are “getting more sophisticated, more design-savvy.” Which means that today’s homebuyers are looking for something unique and different, and homebuilders are updating their homes accordingly. 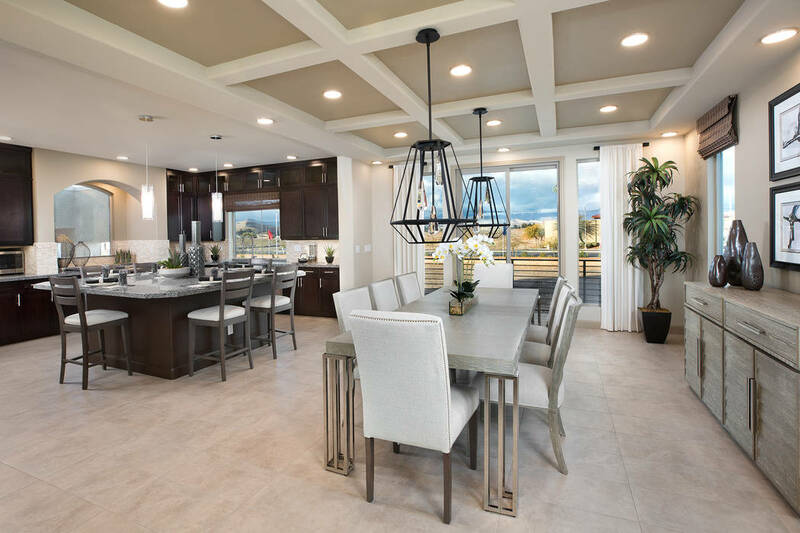 Clean, modern designs are definitely at the top of the list, and Las Vegas home builder American West Homes is, once again, at the forefront of this evolution. 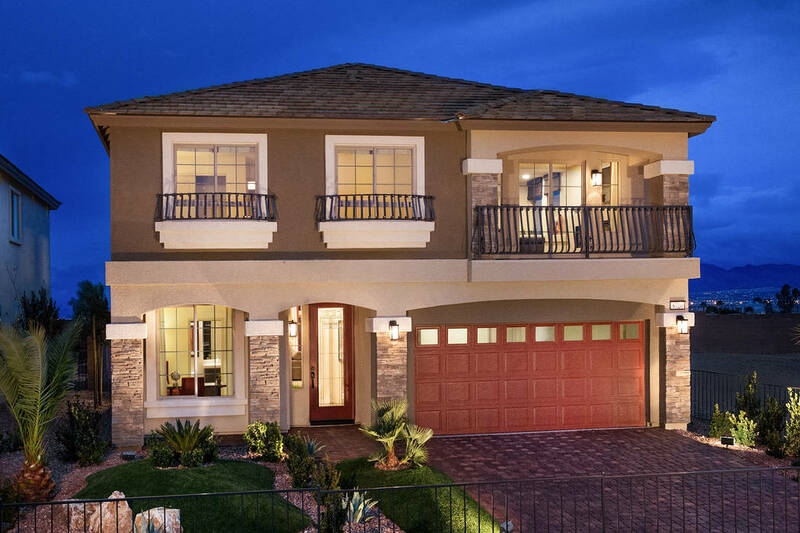 The builder’s newest communities, Rainbow Crossing at Coronado Ranch and Liberty at Silverado Ranch, are offering Las Vegas homebuyers a mixture of architectural styles and elevations, contemporary and traditional, resulting in less homogenous, more custom-looking communities. As local architecture and design experts note, our lives are constantly bombarded by things clamoring for our attention. Hi-tech gadgets and appliances are ever-present parts of our lives, but they can be seamlessly integrated into our homes with some vision and planning. Creating homes that include the latest technology and best materials, while making them comfortable and peaceful, is the key to success. In addition to unique architecture, American West’s homes offer the comfort and flexibility that today’s families crave. American West has been building in Las Vegas since 1984, and has built over 200 new-home communities. The builder’s communities have always had a varied look to them, but with Rainbow Crossing and Liberty, American West is offering homebuyers a choice between a contemporary design and an updated traditional design. Rainbow Crossing at Coronado Ranch, in the southwest part of the Las Vegas Valley, features three new-home communities. Rainbow Crossing Luxury offers five one-, two- and three-story floor plans that range from 1,642 square feet to 4,217 square feet. Rainbow Crossing Estates offers five one-, two- and three-story floor plans ranging from 2,215 square feet to 4,910 square feet. 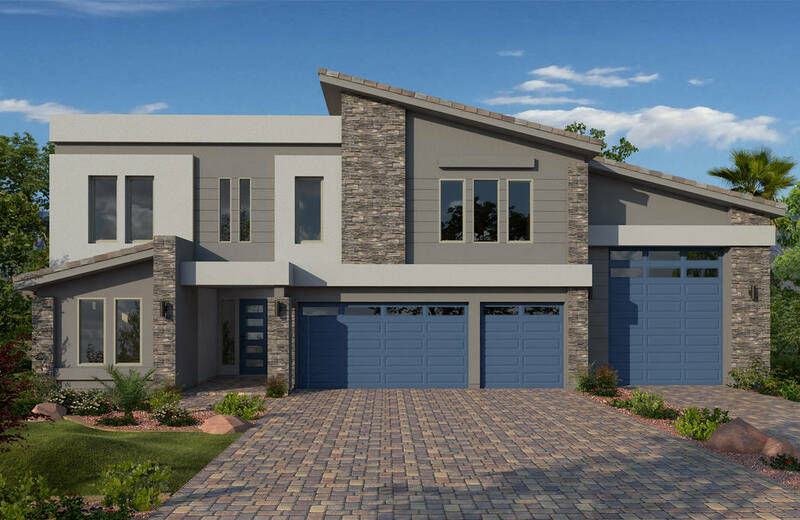 Rainbow Crossing Elite offers three floor plans that range from 4,729 square feet to 4,910 square feet and half-acre homesites with recreational vehicle garages. Liberty at Silverado Ranch is in the southeast part of the valley. The one-, two- and three-story floor plans range from 1,642 square feet to 4,217 square feet. For more information about these homes and communities, visit AmericanWestHomes.com.